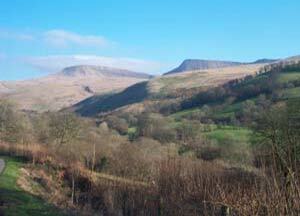 This project was a collaboration with the Brecon Beacons National Park and is part-funded by the Park and by Cadw. 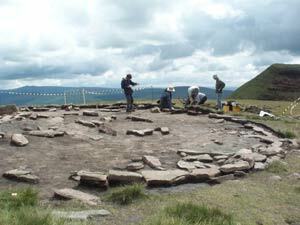 The objective of the project was to record and protect the remains of a Bronze Age burial mound at Fan Foel on Mynydd Du, Carmarthenshire (SN 8215 2234). The condition of the monument was recorded in June 2002 as part of the Cadw-funded Prehistoric Funerary and Ritual Sites Assessment project. It was observed that the barrow had been suffering from severe erosion both from the wind and rain and from visitors moving stones to form a ‘walker’s cairn’. 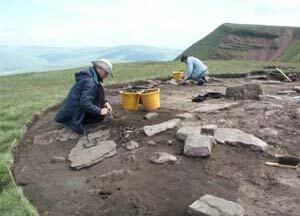 A partial excavation was undertaken in June 2004. 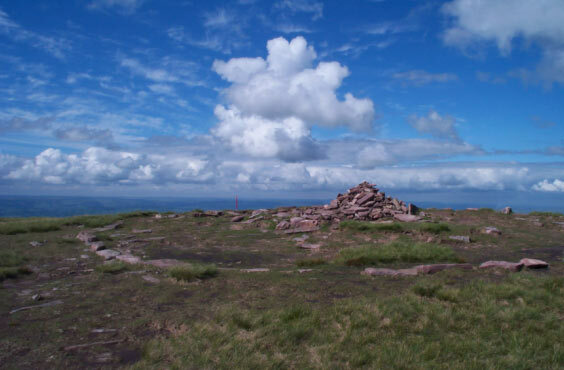 Following deturfing and the removal of the ‘walker’s cairn’, the monument was found to be defined by a ring of stone approximately 11m in diameter. 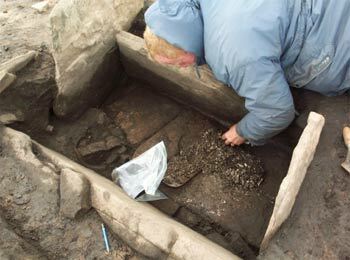 A box-like cist was identified near to the centre of the monument. This cist was about 1m long and 0.5m wide and contained a pile of cremated bone, a broken pottery urn (possibly a Food Vessel) and several flint tools. 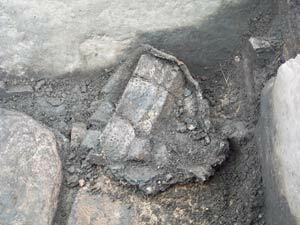 A second cremation deposit was recovered from the surrounding stone together with fragments from a Collared Urn. The pottery is currently being conserved by Phil Parkes at the University of Cardiff. A site visit was made by Astrid Caseldine of the University of Lampeter and palaeo-environemtnal samples were collected. The surviving elements of the monument have now been protected beneath terram matting and backfilled with stone and turf. An examination of the cremated bone recovered from the central cist by Ros Coard (University of Lampeter) has identified the presence of three individuals including an adult, a young child, perhaps no more than 12 years old, and an infant. This deposit also contained the burnt bones of two pigs and possibly a dog. The secondary cremation contained the remains of two individuals: an adult and a juvenile. 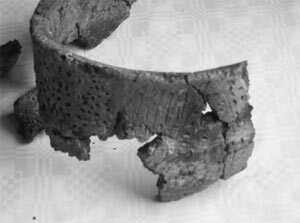 A report on the pottery by Alex Gibson (University of Bradford) indicates that the pottery from the central cist is a Food Vessel and the vessel from the secondary cremation deposit is a Collared Urn. Pollen analysis by Astrid Caseldine (University of Lampeter) indicates that that the central burial was accompanied by a floral tribute of meadowsweet, which has attractive clusters of cream-white flowers. The pollen analysis also suggests that the landscape in the vicinity of the barrow was already largely open heathland and grassland when the cairn was built. There was also evidence that the heathland had been deliberately burnt, which may represent ritual activity associated with the burials. Four radiocarbon dates have been obtained (two from each of the cremation deposits) thanks to the award of a grant from Amgeuddfa Cymru – National Museum of Wales (see table below). Other reports have now been provided: on the flint by Lawrence Barfield (University of Birmingham), and on the soil micro morphology by Richard Macphail (University of London). Following the completion of the specialist reports and illustrations of the artefacts (being undertaken by Amgeuddfa Cymru – National Museum of Wales) the final report will be completed for publication.